With tips from six Vermont resorts, learn how to make your after-ski adventures just as fun and memorable as the days spent on the slopes. If hitting the slopes for a day is sweet, the perfect après ski makes it all the sweeter. That means craft beer, comfort food, and a party atmosphere perfect for families, couples and singles. 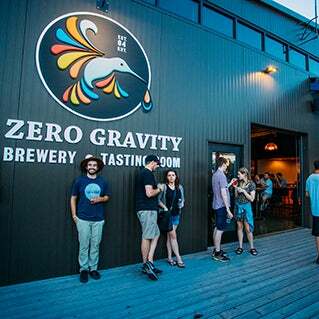 These six Vermont ski resorts offer after-party menus and vibes that help you forget the falls, aches, and chills. 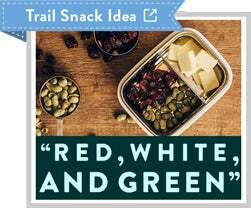 Plus, Cabot Cheese offers a couple quick and delicious snack recommendations perfect for families spending the day out in the snow. Ski and ride opportunities: 2,600 feet of vertical, 111 trails, and 28 wooded areas with Lincoln Peak and Mt. Ellen. Vermonter perspective: Seth Neary grew up skiing Sugarbush, with ski bum parents who lived and worked at the mountain. “It was pretty cool,” he recalls. “I loved ripping down The Jester, Sleeper, Castle Rock, The Mall, and Moonshine.” Today, Seth is parent to daughters Josephine, 10, and Frances, 9, who snowboard there every weekend. After a full day of snowboarding, dad, girls, and mom, Jen Neary, warm up at the après fire pit. This no-frills mountain is known for its night skiing: Tuesdays through Saturdays, 4 lifts and 10 trails are lit up and open until 10 p.m. Bolton is also introducing a unique backcountry guide program this season. Ski and ride opportunities: 71 trails and 1,200 acres of Nordic and backcountry skiing, with the highest base elevation of any Vermont ski resort at 2,200 feet. 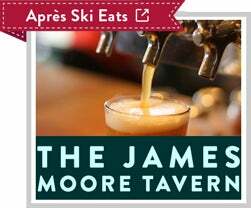 Après menu: The Loaded Nachos are a must-order at The James Moore Tavern, which has a roster of Vermont craft beers on tap. Across the hall, Fireside Flatbread offers a variety of pizza pies so everyone can choose their own slice. Insider tip: Bring cash for The Waffle Cabin so kids (and parents) can enjoy a hot waffle with warm chocolate sauce after a few chilly runs. 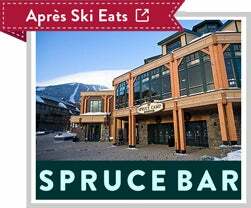 Ski and ride opportunities: 116 trails spanning Spruce Peak and Mt. Mansfield (the highest mountain in Vermont at 4,395 feet) and 12 lifts, with more mile-long lifts than any other resort on the east coast. Vermonter perspective: Penelope Wall calls Stowe her family’s “home mountain.” She can drive there from home in less than an hour with her crew: husband, Colin Alger, and kids Amelia, 5, and Angus, 3. All four snowboard. “It has some of the best terrain,” she adds. And it doesn’t hurt that Colin gets a pass through work (he’s employed by Burton) and even has working meetings on the slope some mornings. 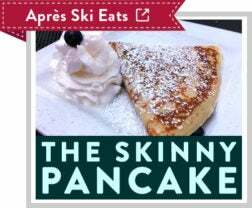 Insider tip: The Skinny Pancake at Stowe Mountain Resort offers an après menu that starts after 4 p.m. Highlights include nachos with Cabot Cheddar and house-made bacon pretzels with spicy honey mustard dip. Olympians train on the hills and in the parks here, but Okemo is especially known for it’s family-friendly vibe. Okemo has a snowtubing park and an ice skating rink, two fun après activities for kids who keep on going. Ski and ride opportunities: 121 trails (with 20 lifts) and 667 acres for snow activities. 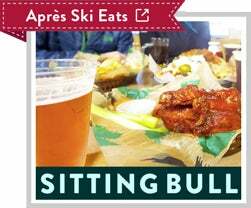 Après menu: Visit The Sitting Bull inside the Clock Tower base lodge for a Long Trail beer and hot quesadillas, or the Vermont turkey, bacon, and cheddar panini. 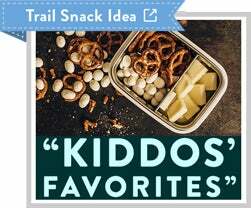 Classic kid favorites are on the menu too, from hot dogs to grilled cheese to crispy chicken tenders. Insider tip: Head upstairs from Sitting Bull to Siena and order adults-only hot chocolates like the Easy Rider (hot chocolate with Bailey’s) and the Snow Plow (hot chocolate with Rum and Kahlua). The recent host to The Audi FIS Women’s Ski World Cup, Killington boasts six peaks and the longest on-snow season in the East, with lifts turning well into May and sometimes June. Ski and ride opportunities: Vertical drop: 3,050 feet. 155 trails and 1,509 skiable acres. Add on the 57 trails at Killington’s sister mountain, Pico, (just five miles away by shuttle) and that’s 212 trails combined. 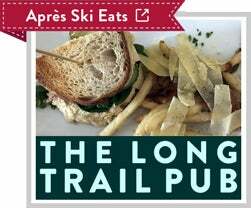 Après menu: The Long Trail Pub, located at the base of the mountain in Snowshed Lodge, features a variety of Long Trail beers for adults and piping hot mac and cheese for kids. 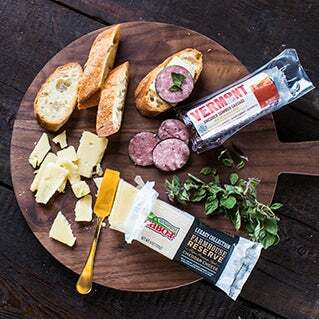 Burger-loving families will enjoy this spot for menu options like The Local, featuring Cabot Cheddar and Northeast beef. 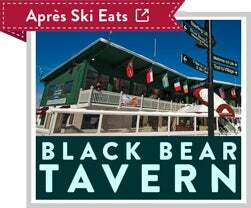 Insider tip: Head to the Clubhouse on East Mountain Road for après family fun at the Killington Tubing Park. Or ride the K-1 Express Gondola to the Peak Lodge at 4,241 feet where the bar offers cocktails and local drafts by a fireplace with views. Long Trail Beer fans: Long Trail Brewing Company is a 20-minute drive from Killington Resort if you want to stop and sample on your way home. (You can order Rookie’s Root Beers for the kids). 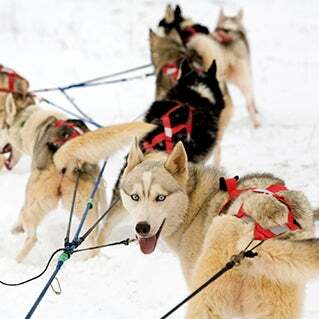 Ski and ride opportunities: 78 trails on 3 mountains: Madonna, Sterling, and Morse. Over 1,000 acres of terrain. And the only triple black diamond in the east: The Black Hole. Après menu: The kids go for ice creams from the slopeside Ben and Jerry’s Scoop Shop. And Jon’s choice is a Fiddlehead IPA and chili cheese fries from The Black Bear Tavern.